Supply Chain Managers are integral to every manufacturing or distribution company to create an efficiently functioning supply chain. Not only does a Supply Chain Manager play a vital part in the organisation, but the role is constantly changing as industries, markets, consumer trends and the organisation change. To get a better insight into the Supply Chain Manager’s role, we are going to take you through the challenges, goals and tasks involved in this interesting and pivotal position. The role of the Supply Chain Manager goes hand in hand with the underlying processes of Supply Chain Management. Supply Chain Management (SCM) refers to both the physical flow of goods from place to place and the management and optimisation of information chains (e.g. management of order data). The flow of goods and information are equally important. A Supply Chain Manager is responsible for creating and maintaining an optimised network of customers and suppliers in their respective markets with the relevant products, commodities and services. The position’s main challenge lays in satisfying all the different stakeholders and company areas, who often have conflicting agendas, that depend on the Supply Chain Manager. As I mentioned, supply chain management is not only about the physical movement of goods, but all related data and systems that are relevant to it. The data gathered from supply chain management can be used by related departments to optimise their processes. For example, a manufacturer can plan production more precisely and efficiently if the Supply Chain Manager can give the exact timing of when each needed part or material will be in the warehouse. This means that different company departments have high expectations towards, and dependencies on, the Supply Chain Manager. When it comes to inventory control. it is important to work as cost-efficiently as possible. Cost reduction is likely to be high on the CFO’s priority list. The Purchasing and Storage Manager, however, will be wanting to ensure they have enough stock on hand to cover customer orders. The challenge the Supply Chain Manager faces is maintaining a high customer service level whilst controlling costs. Increasing globalisation intensifies these challenges because it results in more complex and longer supply chains. Each link of the chain must work together perfectly with the others. If a single link fails or interrupts the supply chain, there can be huge negative consequences throughout the supply chain and, given the dependency of other departments, the entire company. The Supply Chain Manager is the person who must consider the “big picture”.Their goal is to establish an optimal exchange of data, information and materials among departments by creating a transparent and efficient supply chain. To do so, a proactive and agile approach is the key to success. Appropriate processes and tools are more important to success than ever! With supply chain digitalisation, the best processes and tools are constantly evolving. The Supply Chain Manager needs to evaluate not only what is best for their company internally, but also what partners in the supply chain utilise, because compatibility with the systems and interfaces of suppliers, distributors, and customers is equally important. One of the core tasks of the Supply Chain Manager is inventory management and optimisation. A company can only operate successfully if the correct products and materials are in the appropriate place at the right time and in sufficient quantities. Depending on the nature of the business, this could depend on accurate demand forecasting, (automatic) replenishment, calculating seasonality, and more. The Supply Chain Manager also has to effectively use new solutions and prioritise resources. For example, appropriate software can be used to automatically generate and analyse demand forecasts for SKUs, so this no longer has to be done manually, leaving the Supply Chain Manager with additional time for other projects requiring their knowledge and experience. A Supply Chain Manager sets their goals based on the challenges and tasks they face, but the software used is also of significant importance. It’s basically impossible for the modern Supply Chain Manager to reach their goals and grow the company without sophisticated software. Every Supply Chain Manager will be judged based on how they lower costs and improve the supply chain through optimal processes and tools. Of course, quality and customer service should not be sacrificed to reduce costs. 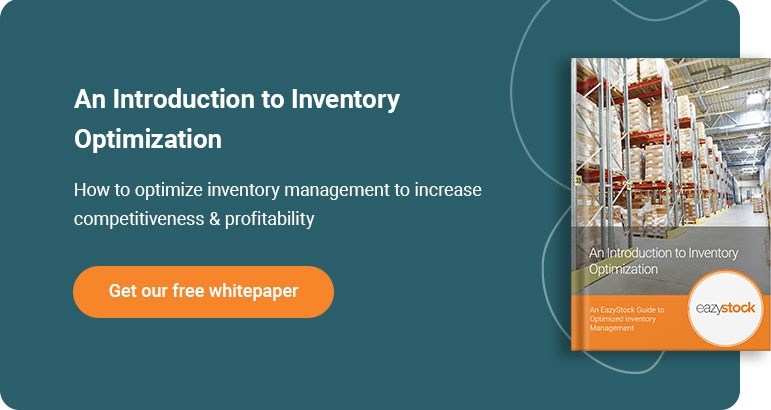 To revisit the inventory management example, the Supply Chain Manager should aim to always have the optimum quantity of an item in stock, enough to keep delivery reliability and customer satisfaction high, whilst avoiding excess inventory. The flexibility of your organisation is also important. In this competitive age, special promotional campaigns by your competitors or other unpredictable demand fluctuations require immediate adjustments within your supply chain. Here, again, the flow of information can be facilitated by software. For example, by automatically receiving alerts from suppliers about delivery discrepancies, the Supply Chain Manager can notify affected parties and adjust processes to keep the supply chain running smoothly. Today’s customer demands this kind of flexibility. They expect their product to be delivered by the specified date, even if circumstances require you to adjust in the background. All things considered, the main goal of any business is making the customer happy by delivering their ordered products or services as agreed. In this regard, supply chain management is essential in creating the platform for customer and supplier loyalty.